The GAP Advisor adds additional options that allow you to reduce the drawdown of the same name strategy. And also supplied with a counselor you get optimal settings advisor GAP ver 3.0 for forex brokers with the time GMT + 1 terminal - GMT + 3 (including Alpari) currency pairs: EUR / USD, GBP / USD, USD / JPY, USD / CHF. WARNING: This Advisor attached to your real account number, so after the purchase send the number of your live account with e-mail, specified in the purchase advisor at the store to my e-mail, on this page: http://plati.market/asp /seller.asp?id_s=64495 and you will generate a unique code that you and mount it in the Advisor! Only with this code Advisor will work on a real account and demo accounts. For any demo account and Strategy Tester Metatrader 4 is suitable code on a live account! Time key generation can reach 12-24 hours after receiving your letter with the number of the real account! 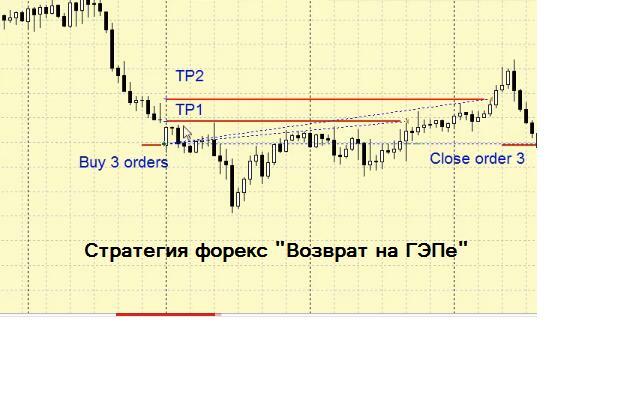 This EA is able to fully automate the trading process on this strategy and is willing to work on any accounts with Metatrader 4 terminal. Advisor sold in closed (compiled) code that its performance does not affect! 1) Be sure to enter your E-mail on the payment page - which specifies the e-mail, which you will receive the goods (for example, see the bottom of the page - http://strategy4you.ru/shop.html)! 2) to leave positive feedback after the purchase advisor without specifying e-mail body reviews !!! REMEMBER: to maintain its deposit and its consistent increase, should never risk more than 2-4% of the deposit for each transaction !!! 4. If you have questions regarding the counselor or bought something you do not like his work - do not sleep leave negative feedback - please contact me at my e-mail, on this page: http://plati.market/asp /seller.asp?id_s=64495 - always help to understand and remember, I have no desire to deceive anyone! 5. To work correctly, the adviser should carefully read the description, you get in the archive with the advisor and to follow these instructions for configuring and using the purchased goods! RESALE advisor PROHIBITED !!! - Right to apply to the Arbitration !! !